Celebrating the renaissance of Vermouth. Inspired by the innovative garden of Versailles and reflecting the opulence and splendour of the parties at the Palace, La Quintinye Vermouth Royal is elegantly crafted using Pineau des Charentes from the region of Charente, France. Complimented with a hand-selected collection of fragrant botanicals, the La Quintinye Vermouth Royal collection is of exceptional taste and luxurious nature. 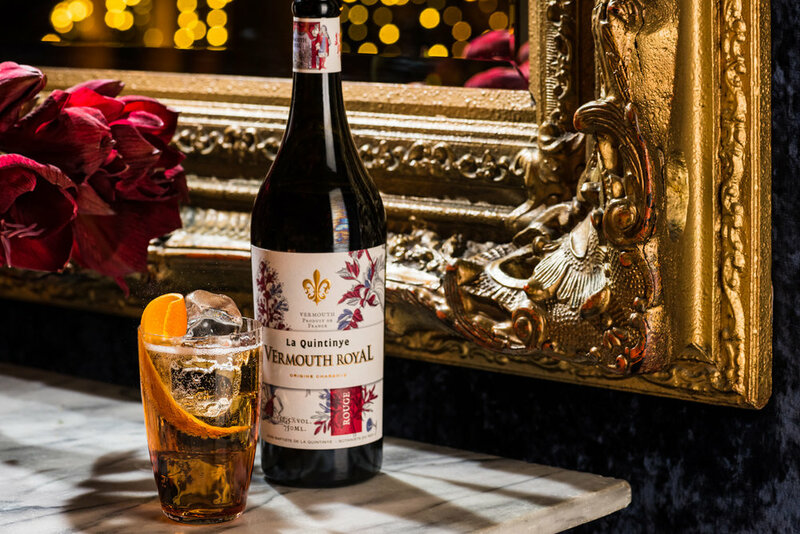 La Quintinye Vermouth Royal is a tribute to Jean-Baptiste de La Quintinye, creator of the Versailles’ kitchen gardens and Botanist for the Sun King, Louis XIV. Renowned master-blender and distiller, Jean-Sébastien Robicquet, shares his innovative spirit and dedication to excellence and blended it with the century-old expertise of the Charente terroir. The resurgence of classic cocktails championed by leading bartenders, in which vermouth plays an integral role, twinned with the desire for more natural and better crafted products has given rise to a renewed interest and demand for the liquid. The perfect link between the world of wines and spirits, vermouth is experiencing a renaissance led by industry experts around the world. The new era of well-crafted vermouths, led by La Quintinye Vermouth Royal, will invigorate the category in gastronomic trend-leading countries and around the world. 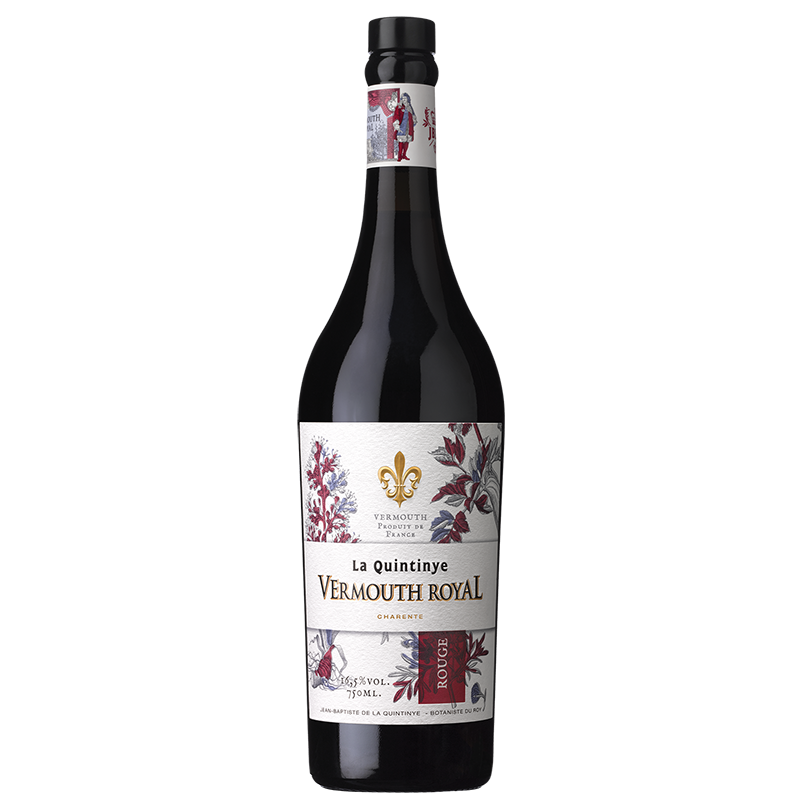 The composition of La Quintinye Vermouth Royal is rooted in the distinctive combination of Pineau des Charentes with a selection of fine wines. Pineau des Charentes is the fruit blend of grape juice harvested in the Charente region and Cognac. Over time it develops to provide roundness, fullness and intensity through its aromas, which are perfectly balanced with the bitterness of the botanicals. La Quintinye Vermouth Rouge, Blanc and Extra-dry share a base of carefully selected botanicals including Artemisia – an essential ingredient for all Vermouths, Angelica, Cardamom, Cinchona, Citrus Aurentium, Orris roots. It is the inclusion of the rare vine flower, and a unique selection of additional aromatic botanicals for each variant which results in their unique expression and true personality. La Quintinye Vermouth Rouge is made from Pineau des Charentes Rouge which produces its naturally rich amber colour. The taste is amplified with a total of 28 botanicals, delivering an extravagant and lavish bouquet of flavours, aromas from sweet vanilla to spicy notes with an extraordinary long-lasting finish. La Quintinye Vermouth Royal is best enjoyed chilled (neat or on ice), as an aperitif such as Rouge with a splash of tonic and garnished with an orange twist or as a magnificent ingredient in classic cocktails such as a Royal Negroni. 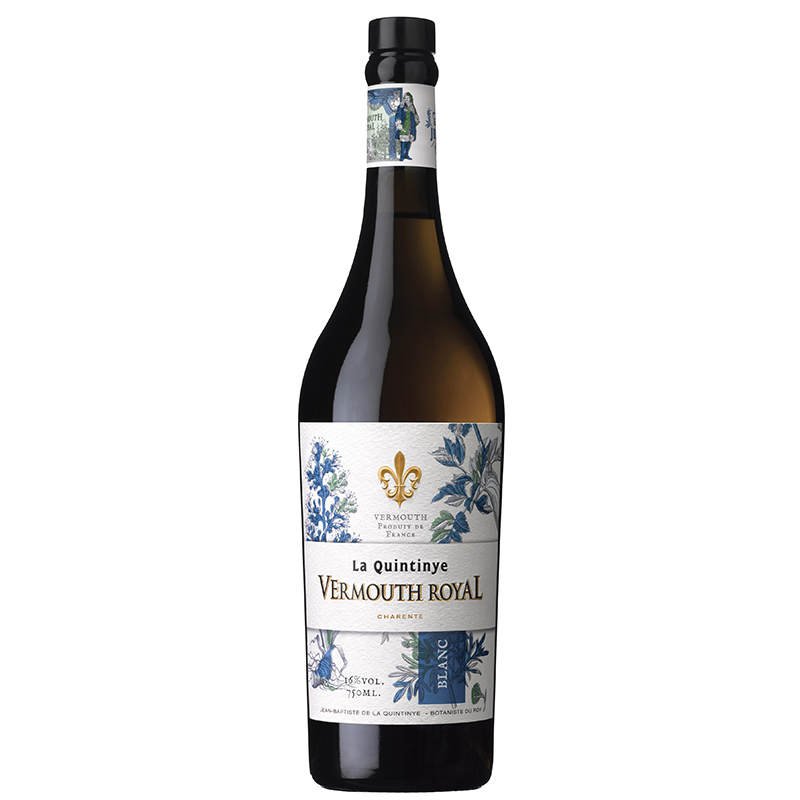 La Quintinye Vermouth Extra-dry contains 27 botanicals and Pineau des Charentes Blanc which creates a delicate floral bouquet including citrus and spice aromas for a complex long lasting yet extra dry profile. La Quintinye Vermouth Extra-dry is best served as a magnicent Dry Martini. La Quintiyne Blanc using 18 botanicals, as well as Pineau des Charentes Blanc. Elegant and delicately luscious, the Vermouth expresses fresh citrus aromas, yellow fruit flavours and a background of wooded spice. La Quintinye Vermouth Extra-dry is best served as a Royal Vesper.